Exceptional conferences in the city centre. 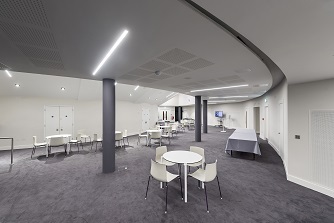 The College’s £3.5million redeveloped Conference Centre is now open and available for bookings. This vast project has enhanced the event experience even further, with a newly designed and refurbished foyer. 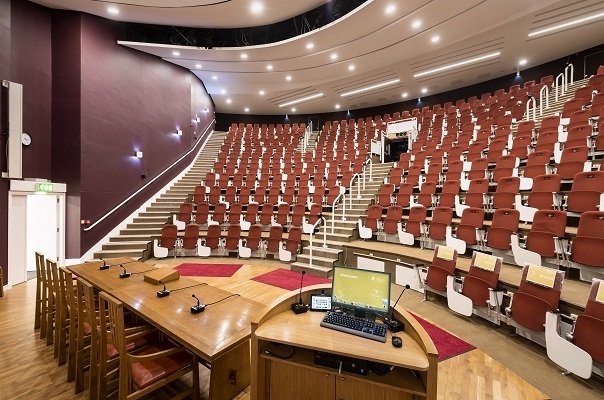 The auditorium accommodates 300 delegates in tiered seating and is equipped with state of the art AV and VC. With international reach, our upgraded webstreaming services can share your event with the world. 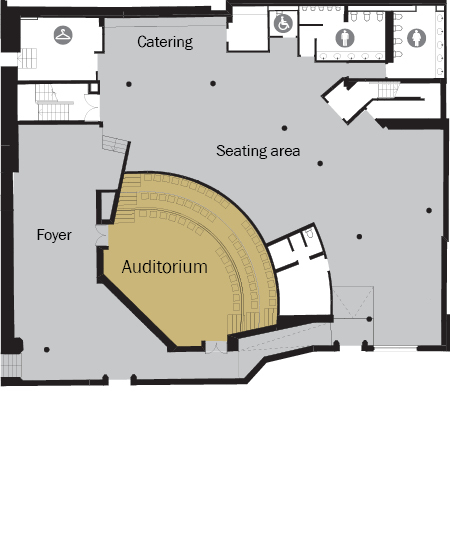 The large foyer area surrounding the auditorium provides generous space for delegate registration, exhibitions, informal breakout sessions and catering, keeping your event contained in one space. 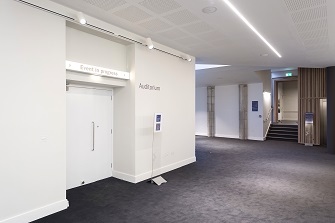 The new reception area and bespoke lift link the College’s stunning historic rooms, improving accessibility and connectivity for delegates.